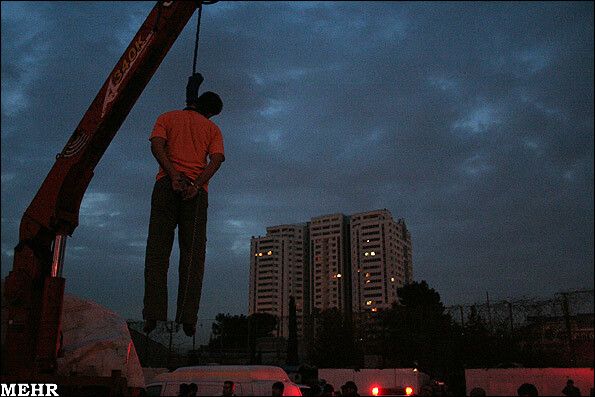 A convicted murderer was hanged in public in Tehran early morning on Wednesday. 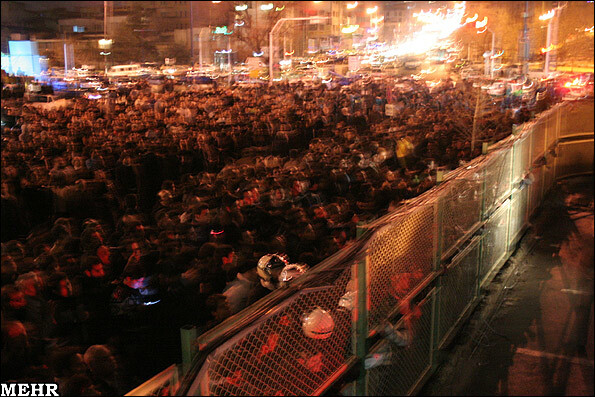 The execution was carried out in Kaj square which had been the scene of the crime 69 days earlier. The man identified as "Yaqub" was convicted of stabbing a man to death in broad daylight in October 2010 in the affluent northern Tehran neighborhood of Sa'adat Abad. The murder sparked outrage amongst Tehran residents after videos of the stabbing showed up on the Internet and were later replayed on the state television showing the killing took place in front of two police officers. 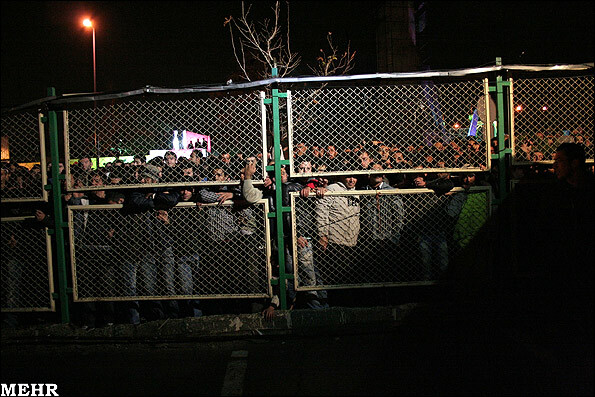 The public hanging was attended by the family of the victims and large crowds of onlookers. (read full story -- in Persian).